What is the average rent in Osaka, Kyoto, and Kobe? We recently posted an article on the average rent in Tokyo. This is a follow-up to that post, with average rent data for western Japan, specifically Osaka, Kyoto, and Kobe. Overall, rents are much lower in Kinki than in Tokyo. For Kinki as a whole, the average monthly rent for the period was 67,000yen versus 97,000yen for Tokyo’s 23 wards, and 77,000yen for other areas of Tokyo. Of the six prefectures in the region, Nara prefecture had the highest average rent at 73,500yen/month, but interestingly one of the lowest average rents per square meter, at 1,195yen; this is because the average size of an apartment contracted in Nara for the period was a spacious 61.45 square meters. 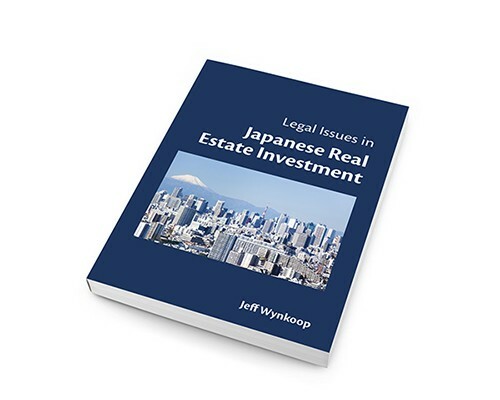 Hyogo prefecture came in second, with average rent of 69,700 yen/sqm. Osaka prefecture was third with average rent of 67,900 yen/month. Kyoto was fourth with average rent of 56,600yen/month. 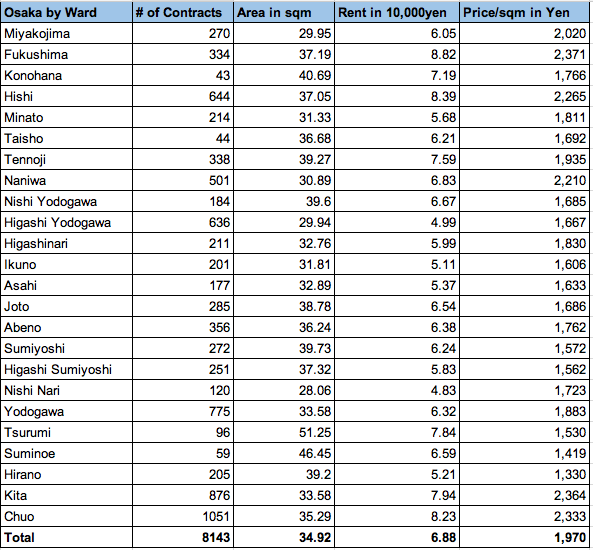 Wakayama had the lowest average rent at 53,500yen/month. For details, please click on the chart below. In Osaka city, the average rent for the period was 68,800yen/month, and the average rent per square meter was 1,970 yen/sqm. The three most expensive wards in Osaka by average rent per square meter were Fukushima (2,371 yen/sqm), Kita (2,364 yen/sqm), and Chuo (2,333 yen/sqm). 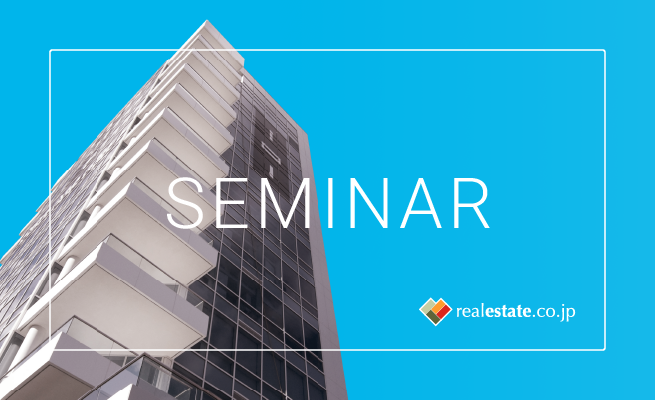 The least expensive wards by average rent per square meter were Hirano (1,330yen/sqm), Suminoe (1,419yen/sqm), and Tsurumi (1,530yen/sqm). Click on the chart for detailed Osaka data. In Kyoto city, the average rent for the period was 56,600yen/month, and the average rent per square meter was 1,992yen/sqm. The three most expensive wards in Kyoto by average rent per square meter were Nakagyo (2,313yen/sqm), Shimogyo (2,234yen/sqm), and Kamigyo (2,138yen/sqm). The three least expensive wards by average rent per square meter were Yamashina (1,679yen/sqm), Nishikyo (1,692yen/sqm), and Fushimi (1,700yen/sqm). Click on the chart for detailed Kyoto data. In Kobe, the average rent for the period was 67,600yen/month, and the average rent per square meter was 1,865yen per square meter. The three most expensive wards in Kobe by average rent per square meter were Chuo (2,213 yen/sqm), Nada (1,937yen/sqm), and Hyogo (1,845yen/sqm). The three least expensive wards in Kobe by average rent per square meter were Kita (1,245yen/sqm), Nishi (1,258yen/sqm), and Tarumi (1,362yen/sqm). Click on the chart for detailed Kobe data. This article covers the data for mansion (マンション) only. A multi-family residential building is considered an apa-to if it has two stories or less; apa-to tend to be older buildings made of wood. “Mansions” are multi-family residential buildings that have three stories or more.